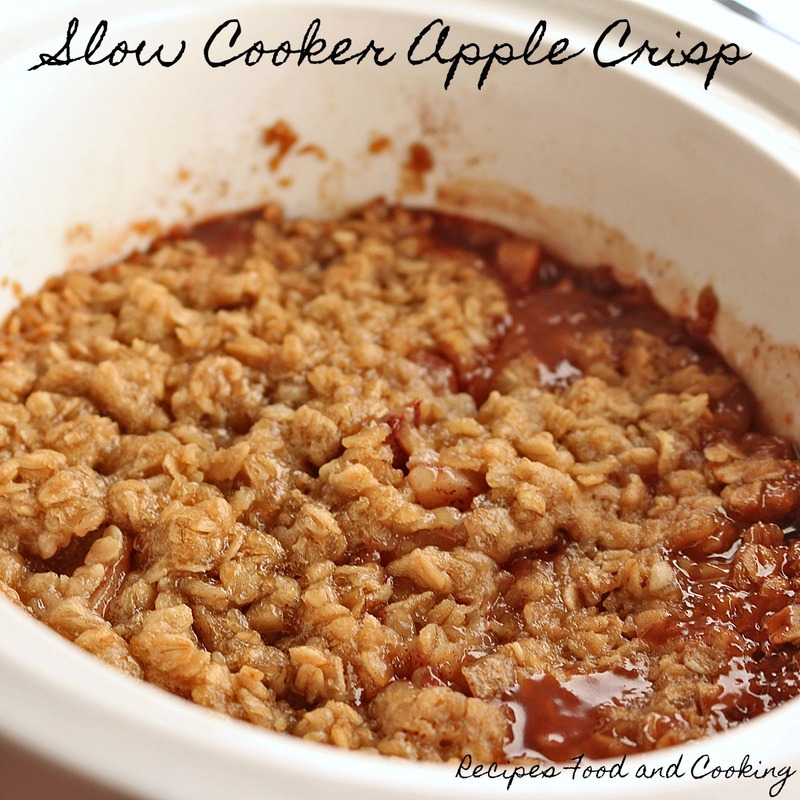 Today was the first day of fall and for that occasion I made a Slow Cooker Apple Crisp. I got lucky at the grocery store today and was able to pick up a 3 lb. bag of Gala apples for only $1.69. 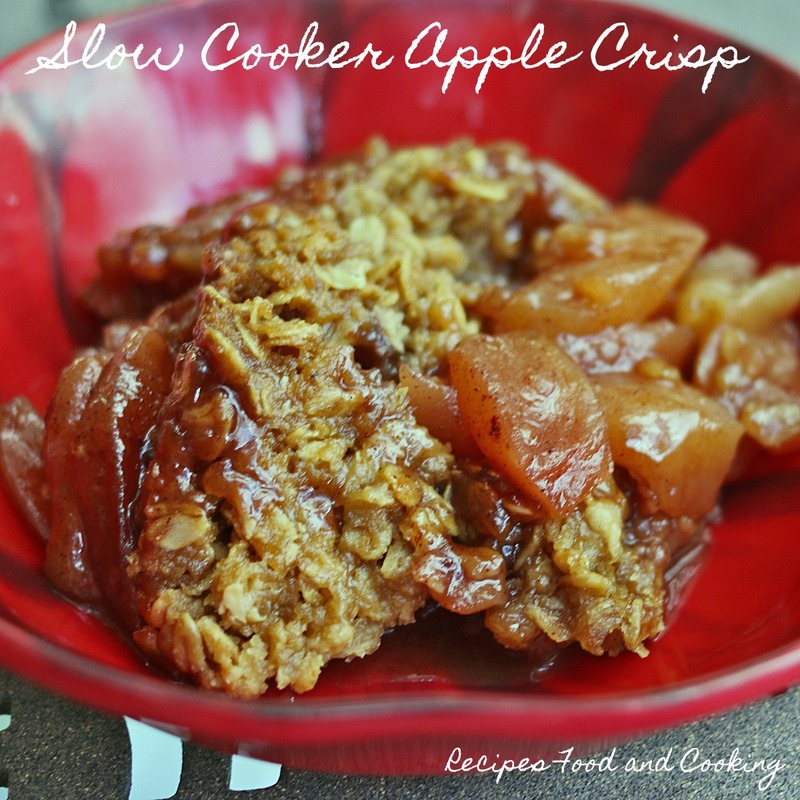 Needless to say I bought 2 bags of them and made one bag into this delicious apple crisp in the slow cooker. I think I’ll go back for another one or two tomorrow. Peel all of the apples and cut them into slices. 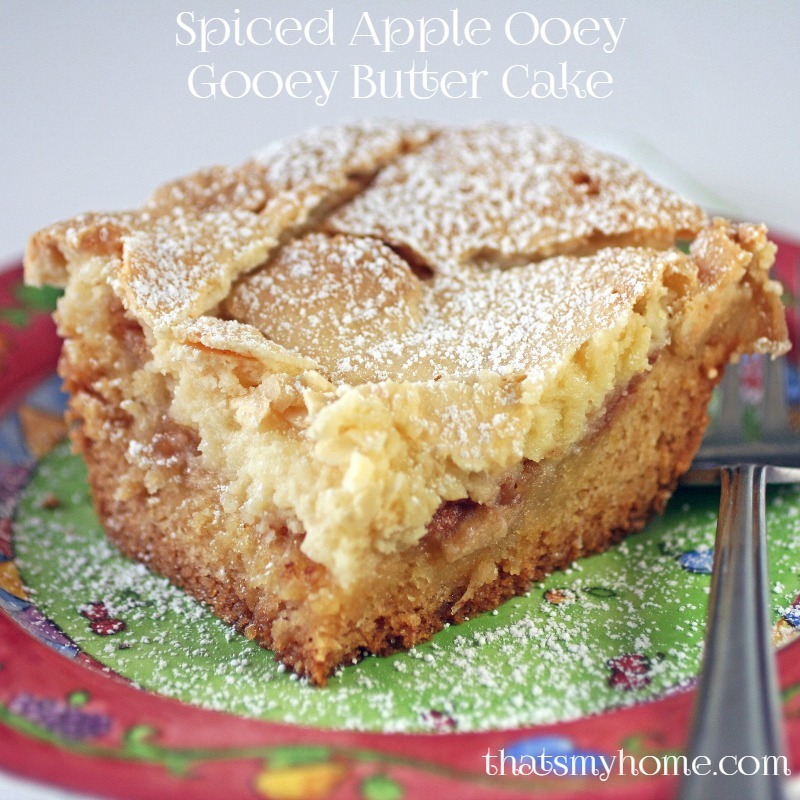 Add cinnamon, sugar and a little butter. 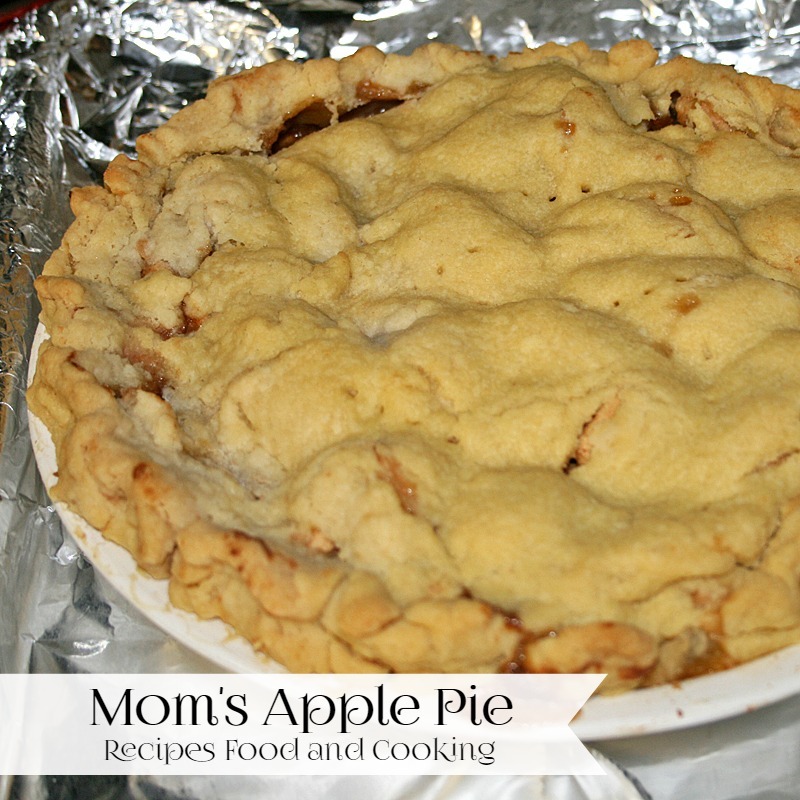 Mix together your topping ingredients and crumble on top of the apples. After the apples have been cooking for a hour, I put a clean towel under the lid of the slow cooker to catch all of the moisture. 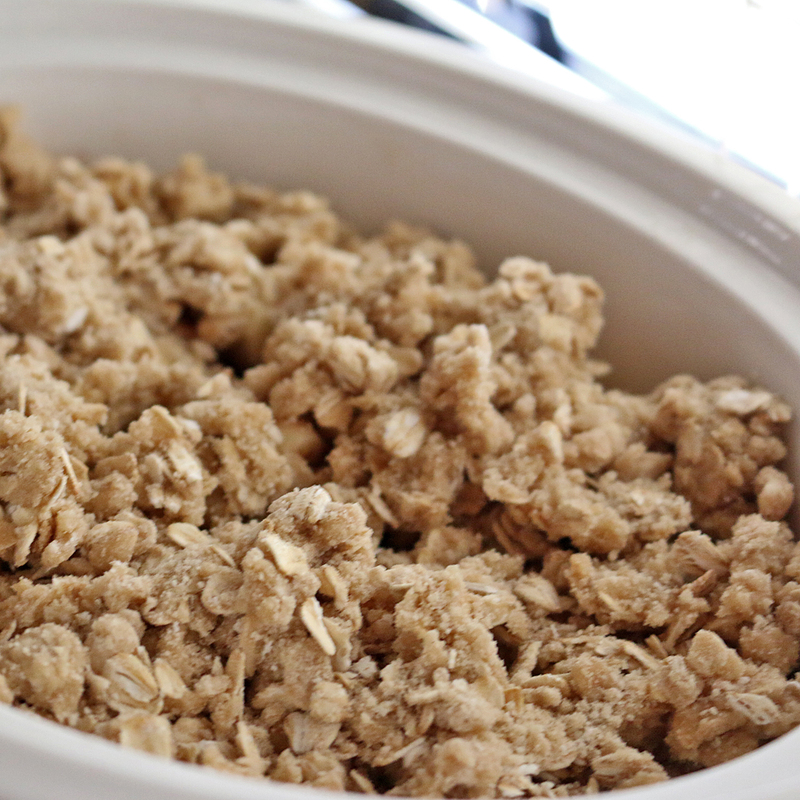 This will let the streusel topping get crispy. 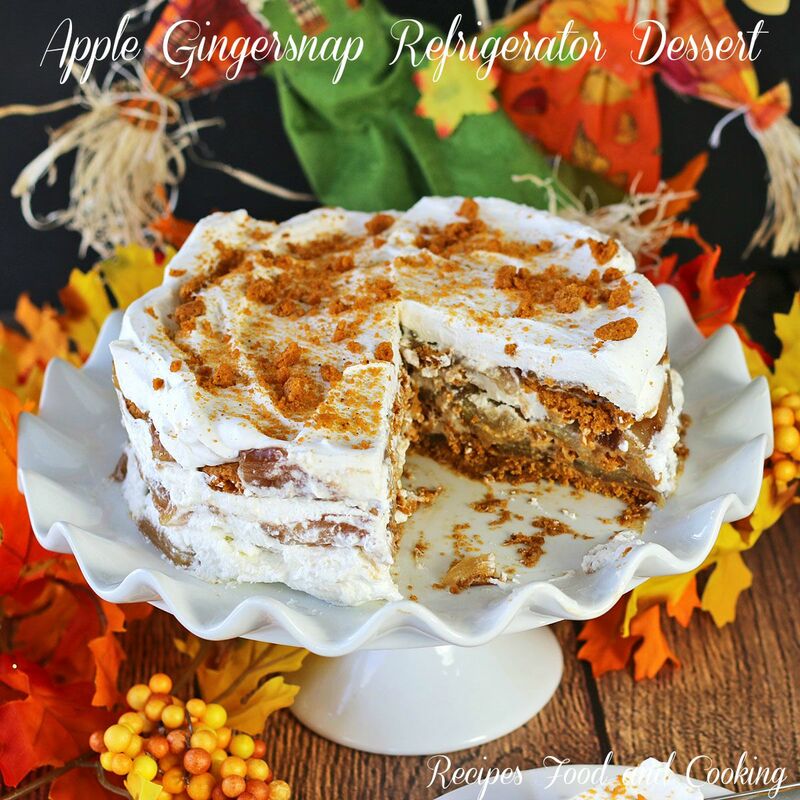 Serve with or without ice cream, we didn’t miss it a bit! 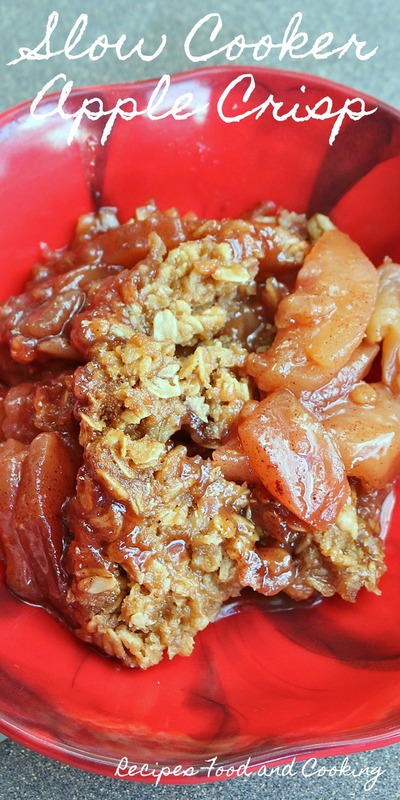 Apples spiced with cinnamon and topped with an oatmeal crunchy topping. Peel the apples and cut into slices. 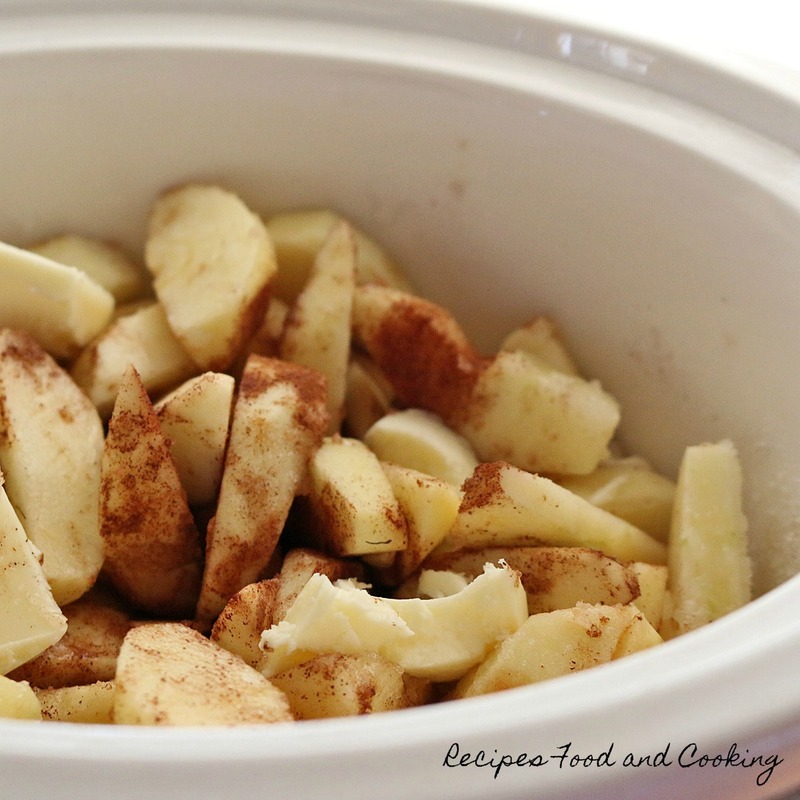 Add the apple slices to a slow cooker that has been sprayed with cooking spray. Add the remaining ingredients and stir until mixed together. 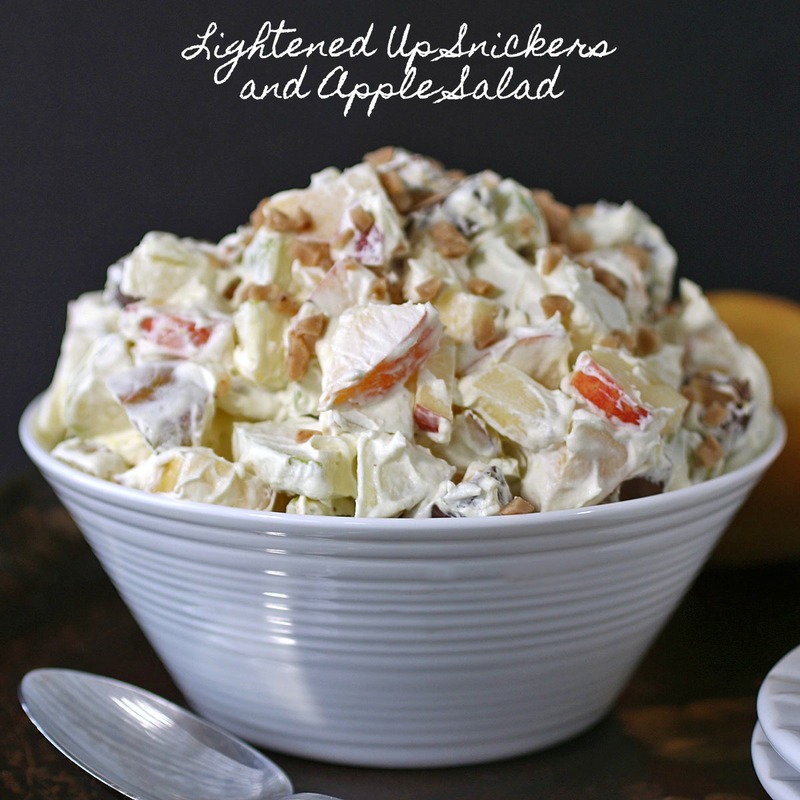 Scatter the topping mix on top of the apples. Cook for 4 hours on High. After one hour lift the lid and place a towel over the top. Put the lid on the towel to close.